WASHINGTON (AP) — The House intelligence committee chairman says he plans to release the transcripts of dozens of private interviews conducted during its investigation into Russian election-meddling and would push the director of national intelligence to declassify others. 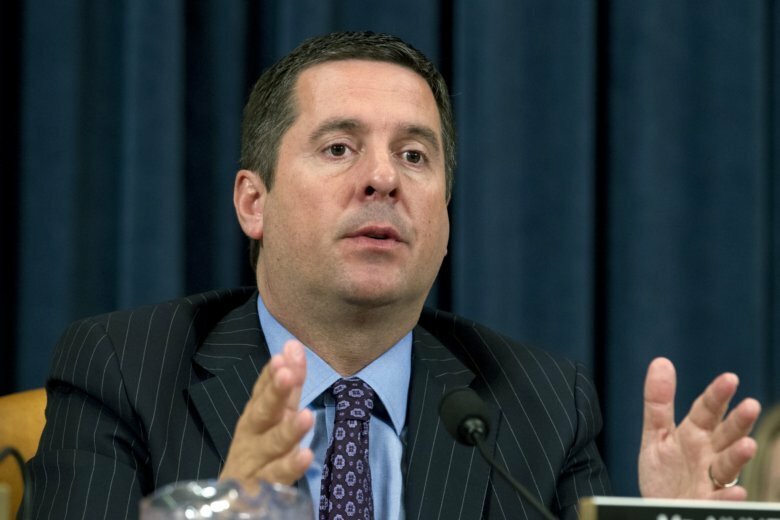 “I think full transparency is in order here, so I expect to make those (transcripts) available from our committee to the American public here in the next few weeks,” said Rep. Devin Nunes, R-Calif., months after the GOP colleague who led the investigation said such a release could have a “chilling impact” on testimony in future inquiries. Making the transcripts available can only be done by committee vote. Committee Democrats have said they want the transcripts made public. The committee already has released a handful of transcripts, but only in cases where the witness insisted on a public disclosure. GOP Rep. Mike Conaway of Texas, who led the investigation, said in March, when the committee completed a draft of its final report that found no coordination between Russia and the Trump campaign, that he decided against releasing the whole transcripts for fear it could hinder future probes. Rep. Adam Schiff of California, the highest ranking Democrat on the House intelligence committee, called upon Nunes to schedule a meeting “immediately” so members could vote on releasing the transcripts. The Schiff has favored complete disclosure so the public could make its own judgment about the witnesses. “The American people deserve to see what we uncovered, the questions witnesses refused to answer,” Schiff said in a statement released Sunday. That both Republicans and Democrats want the transcripts released underscores the partisan lens through which each side has viewed the investigation. Republicans are likely to say that the content of the interviews proves there was no evidence of collusion between Trump’s campaign and Russia; Democrats probably would say they prove there was evidence. The Senate intelligence committee is still conducting its own investigation and has interviewed far more witnesses than the shorter House probe. The chairman, North Carolina Sen. Richard Burr, has said he won’t release committee documents, so it is unclear whether any of those interviews will ever become public.